Grey/Silver 2014 12 cylinder coupe. Tan interior. It has climate control and parking sensor rear. 2014 Rolls-Royce Wraith, priced at AED 565,000, with features such as 4 bottons, 360 degree cameras, CD player. It has red interior and is Black. GCC spec. 12 cylinder black 2016 sedan. Black interior. Airbags (front and side), 21 inch wheels and dealer's warranty & service package until january 30, 2020. Price: AED 749,000. GCC spec Rolls-Royce Wraith with Air conditioning, 23″ wheels and Power locks. Price reduced! Rolls-Royce Wraith 4 BUTTONS IN EXCELLENT CONDITION WITH WARRANTY+SERVICE CONTRACT!BEST DEAL! Opportunity! A 2016 grey/silver Rolls-Royce Wraith 4 BUTTONS IN EXCELLENT CONDITION WITH WARRANTY+SERVICE CONTRACT!BEST DEAL! now available at a reduced price. Opportunity! A 2014 white Rolls-Royce Wraith / GCC Specs now available at a reduced price. GCC spec automatic, 21 inch wheels, rear camera, power seats with memory, black interior, blue exterior. GCC spec Rolls-Royce with CD player, 20″ wheels and Power locks. Price reduced! Grey/Silver 2015 coupe for AED 739,000. Beige interior. It features power windows, 20 inch wheels and power locks. Automatic 2014 Rolls-Royce Wraith with 20 inch wheels, airbags (front and side), CD player, red interior, red exterior. 2019 Rolls-Royce Wraith grey/silver coupe, orange on the inside with air conditioning and ABS. 22″ wheels. GCC spec Rolls-Royce with Power windows, 21″ wheels and Front camera. Price reduced! 2014 Rolls-Royce with tuner/radio, power windows, power locks. Brown with white interior. GCC spec 2016 Rolls-Royce featuring fog lights, bluetooth system, rear camera. Grey/Silver with red interior. 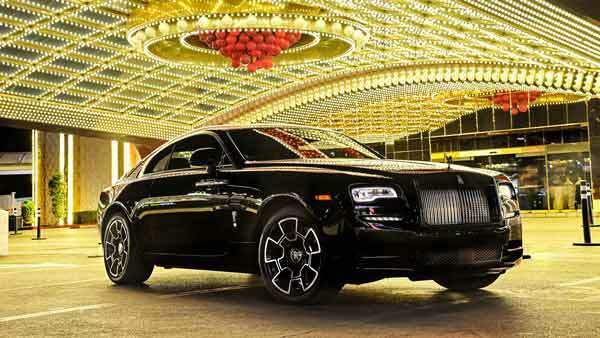 AED 770,000 for this Automatic Rolls-Royce Wraith with 21 inch wheels, USB, power windows, beige interior, black exterior. GCC spec Rolls-Royce Wraith with Air conditioning, 20″ wheels and Navigation system. Price reduced! Blue 2014 12 cylinder coupe. Black interior. It has power windows and navigation. 2014 Rolls-Royce Wraith with features such as ABS, tuner/radio, power locks. It has tan interior and is Grey/Silver. GCC spec. GCC spec Rolls-Royce with Power locks, 17″ wheels and Climate control. Price reduced! GCC spec Rolls-Royce with Tuner/radio, 21″ wheels and Parking sensor front. Price reduced! Automatic, 18 inch wheels, CD player, air conditioning, black interior, black exterior. Price: AED 535,000. GCC spec white coupe, red interior with rear camera, USB and a 12 cylinder engine. Rolls-Royce Wraith grey/silver coupe, red on the inside with power seats with memory and MP3 interface. 21″ wheels. 12 cylinder grey/silver 2015 coupe. Black interior. ABS, 18 inch wheels and tuner/radio. Price: AED 1,200,000. Automatic 2014 Rolls-Royce Wraith price AED 595,000, with 20 inch wheels, power locks, CD player, blue interior, blue exterior. GCC spec. Opportunity! A 2016 white Rolls-Royce Wraith PRISTINE CONDITION - FULLY AGENCY MAINTAINED - FREE SERVICE CONTRACT AND UNDER WARRANTY AGMC now available at a reduced price. GCC spec Rolls-Royce with ABS, 20″ wheels and Airbags (front and side). Price reduced! 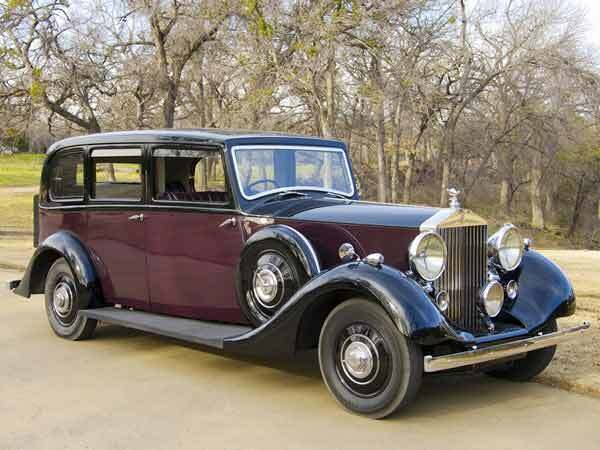 GCC spec Rolls-Royce with Air conditioning, 21″ wheels and CD player. Price reduced! GCC spec Rolls-Royce Wraith with CD player, 21″ wheels and Airbags (front and side). Price reduced! GCC spec Rolls-Royce with Parking sensor rear, 20″ wheels and Keyless go. Price reduced! Omar - When I was choosing between a used Bentley Continental GT and a second hand Rolls-Royce Wraith, I saw the price in UAE was higher for the Wraith. Still, I bought the Wraith as the options are unbeatable inside, the engine is powerful and quiet not to mention it is an extravagant coupe. Pros: Road noise, engine and options. Hamad - I was going to import one of these cars, but instead I chose to buy used Rolls-Royce Wraith in Dubai, UAE as the are the cars to have in the region. They stand out wherever you go; everyone wants to take pictures, and with over 44,000 colours available, nothing can compare to the Wraith. Pros: Colour options, presence and options. Jung - Prices for Wraith’s are much better in Dubai, then in China. So what I do is a look for pre owned Rolls Royce Wraith for sale in Dubai, UAE and export here. Perfect cars due to the options it has, the powerful engine under the bonnet which is also silent and it’s overall looks makes the cars stand out. Pros: Options, engine and pure luxury. It’s the fastest and most powerful Rolls-Royce currently available with 632 horsepower on tap enabling a 0-100 time of 4.6 seconds. For a vehicle that weighs in at almost two tonnes, the Wraith is easy to drive which comes as a surprise. Each model is built pretty much by hand, so you know that whatever Wraith you buy has been crafted out of love and appreciation. They say that 65% of all Rolls-Royces ever built are on the road to this day and the Wraith will only add to that percentage. With name plate that dates back all the way to the late 30’s the Wraith in current trim is the company's fastest model. With four seats inside, this extravagant coupe is the pinnacle of two door luxury. Fitted with all the right options to create a much-desired cabin the Rolls Royce Wraith is almost unbeatable in every aspect. However, the Wraith is not just another pretty face. In current trim, Wraith models are the brands fastest and most powerful vehicle available over 600 horsepower powering the rear wheels. Road Rivals: Bentley Continental GT, Aston Martin DB9 and the Ferrari FF. While not technically the first generation or the Wraith, this was the first time the nameplate was used. Only 491 versions of these were built, and each one is equipped with leather seats, wooden trim, dials for various engine readings and a centrally mounted speedometer plus a few other dials. Powering the wheels is a straight six-cylinder 4.2-litre petrol motor mated to a four-speed manual gearbox. Horsepower figures aren’t known exactly but it could reach a top speed of 137 km/h and can hit 80 km/h in 16.4 seconds. Looking to buy a used Rolls Royce Wraith for sale in Dubai, UAE? These models are extremely rare to find and very rarely change hands. Finding one of these for sale is liking finding a needle in a haystack. In its first generation, the Wraith sports two doors and is an overall elegantly crafted coupe with all the right bumps and grooves to announce your presence on the road. Exterior options of this luxurious coupe include weighted wheel caps that keeps the exquisite logo upright when travelling, parking sensors, multiple cameras to provide a top-down view, soft closing suicide doors with electronic closing options, adaptive headlights, 20 or 21-inch rims and the iconic Spirit of Ecstasy. 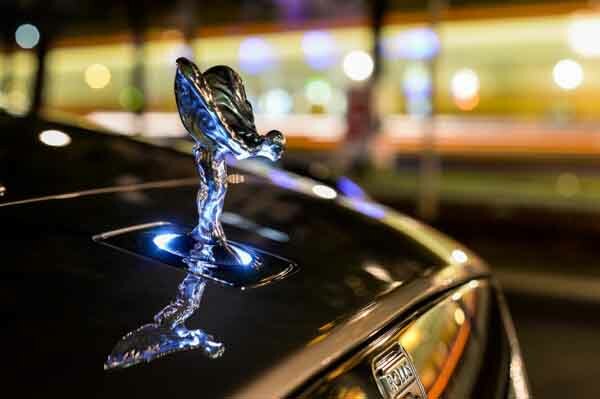 The Spirit of Ecstasy is available in many varieties including Solid Silver, Illuminated Polycarbonate, Gold Plated and illuminated from the base. Interior options are plentiful and consists of a navigation system, Bluetooth connectivity, media inputs, cruise control modes, cooled front seats, premium leather upholstery, analogue clock, real wood trim, multi function steering wheel, starlight headliner, memory seats, powered accessories, keyless start, sunroof and many more exquisite pieces. Powering the Wraith is a V12 6.6-litre twin turbocharged petrol engine mated to an 8-speed satellite assisted automatic transmission powering the rear wheels. 632 horsepower is generated and enables the vehicle to hit a top speed of 250 km/h and hit 100km/h from standstill in 4.6 seconds. The satellite-aided transmission feeds off data projected via the built-in navigation to perfectly time gear changes. An extremely useful when it comes to traffic jams. Rolls Royce is no stranger to the idea of special editions, and the Wraith is no exception. Wraith Suhail Edition models are available with a moonstone pearl coat of paint, Suhail star emblem hand painted just above the front wheel arch, Creme light leather upholstery complemented by Navy Blue carpets and dashboard gauges, Ash Burr wood trim, Suhail Star emblem crafted into the glove box and the Suhail constellation made visible on the analog clock face. Wraith “Inspired By Film” wears a silver coat of paint, handcrafted solid silver Spirit of Ecstasy, Anthracite leather complemented with Casden Tan leather. Inspired By Fashion models are available is Arctic White only with either Jasmine, Tailored Purple or Mugello Red Accents. Inside, these models combine Arctic White and Anthracite Black leather, silk lining for the front and rear door pockets and smooth wood dashboard. Inspired By Music models carry a 1300 watt 18-channel premium sound system finely tuned for pitch perfect sound quality along with a Lyrical Copper exterior colour and copper themed interior. Black Badge models are not only equipped with a high-gloss black Spirit of Ecstasy, silver on black RR logos, darker trims and black starlight headliner but a tweaked engine that produces 870 Nm of torque along with a revised gearbox and air suspension system. Inside, are four seats covered in Black and Mugello Red leather as well as aluminium threaded carbon fibre. Are you looking to buy a second hand Rolls Royce Wraith for sale in Dubai, UAE? Prices start at AED 825,000.